The stockpile of bottled water stretches down an unused runway in Ceiba. Case after case, pallet piled upon pallet, blue tarps and plastic glinting in the sun. Federal officials commandeered the area in the far east of the island last fall as a staging ground, collecting the water and containers full of tarps to patch damaged and destroyed roofs in surrounding neighborhoods. FEMA handles getting the supplies to the state or commonwealth, who in turn handle distributing those items at a local level, said Jeff Byard, FEMA Associate Administrator for Response and Recovery. 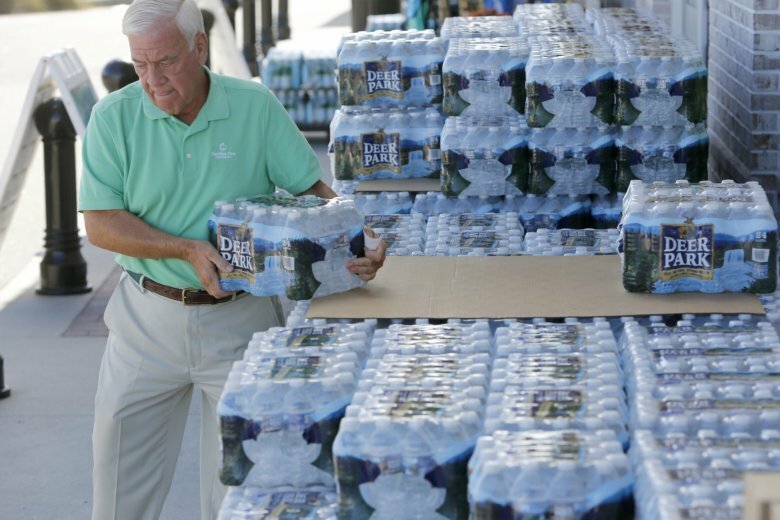 “Obviously with Maria, we had not a supply issue, we had distribution issues,” he said during a briefing about Hurricane Florence.